Looking for ideas about day trips from Vicenza, Italy? You have come to the right place! 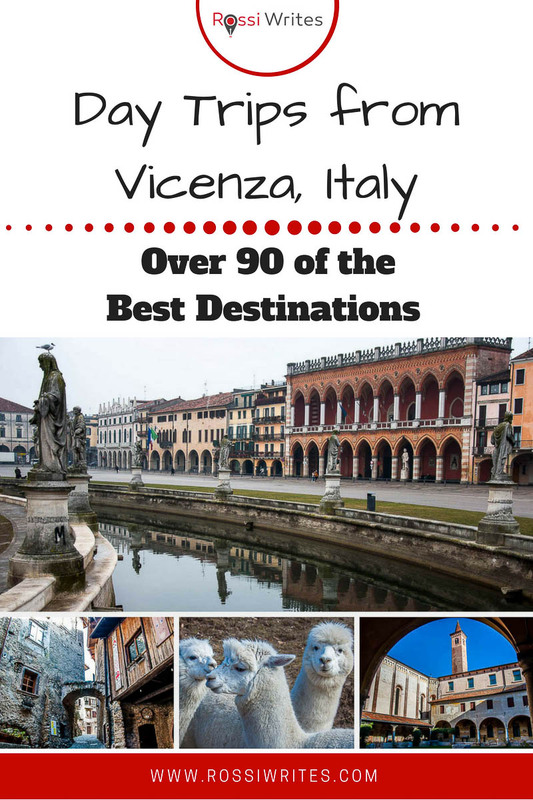 This mammoth list comprises over 90 exciting cities, towns, villages, and places within an easy reach from the City of Palladio. Having personally tried and tested them at least once and some several times over the past four years I can guarantee that you will have a whale of a time exploring all that they have to offer. Vicenza is a great base from which to conduct your exploration of Italy. It doesn’t matter if you live here full time or have chosen the city as a holiday destination for its beautiful architecture, rich history, and calm, authentic character. Fast trains will transport you quickly and cost-effectively all over the North of Italy and further down towards its central parts. Good quality roads are plentiful and ready to take you up steep mountains and down to the seashore. 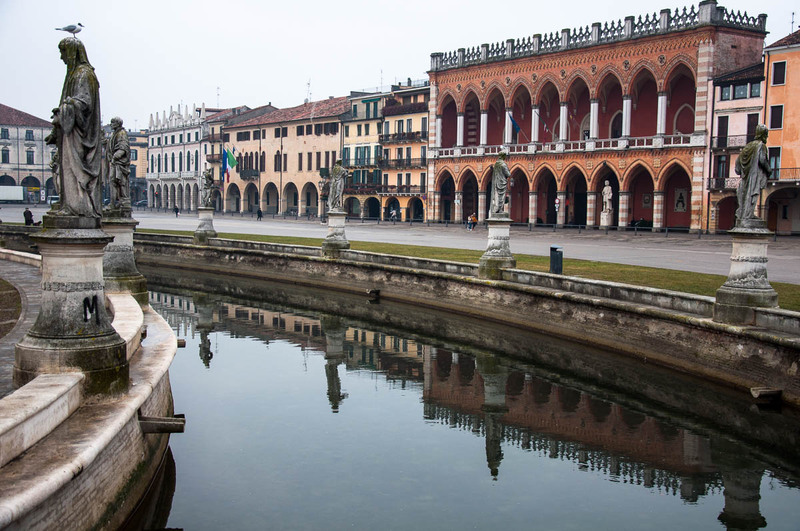 Plus, Vicenza is right on the Venice-Milan highway, so that you can reach inexpensively by car cities like Padua, Verona, and Brescia within very short amounts of time. My thematically and alphabetically structured list with day trips from Vicenza includes much more than large Italian cities though. Here you will find a host of charming locales, unforgettable natural sights, art and craft hubs, lively beaches, medieval walled towns and even a couple of sacred places for a Christian pilgrimage. Most are in the Veneto – the Northern Italian region of which Vicenza is also part. But there are day trips from Vicenza reaching as far as the regions of Trentino-Alto Adige, Lombardy, and Emilia Romagna. It is amazing how much you can see in Italy if only you travel for an hour or two one way. (where available) links to detailed overviews and exciting videos of the different places to help you organise your day trip. The videos are hosted on my blog’s Facebook page. If you haven’t liked it yet, I would really appreciate it if you could! Read on and start planning your days out from Vicenza now! Italy is blessed with some of the most beautiful and interesting in terms of art, history, and traditions cities in the world. Finding yourself in Vicenza with time to spare you will feel like a child in a huge playground – super excited and a bit lost where to start your exploration from. My suggestion is to explore the nearby big cities first. Especially, if you are in Vicenza for a short amount of time. Your top options are Venice, Verona, and Padua. They are all very close to Vicenza and very easily reached. A day will be just enough to see their very main sights and to whet your appetite for many future returns. Once you have ticked these three off your list, continue with the rest. 7. Parma – approx. 193 km from Vicenza. Best reached by car. 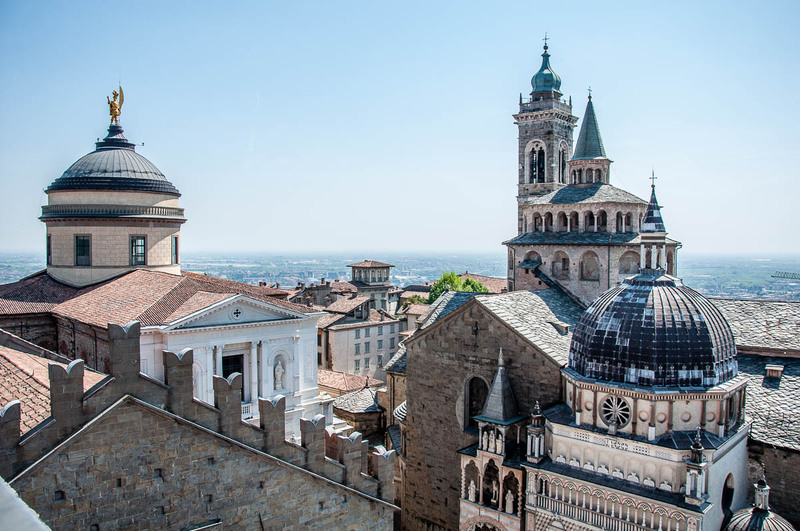 Parma will enchant you with its Romanesque architecture. Most importantly you will eat like a king in the city famous for its ham (prosciutto), parmesan, pasta and even Parma violets. Enjoy! 9. Rovigo – approx. 91 km from Vicenza. Best reached by car or train. 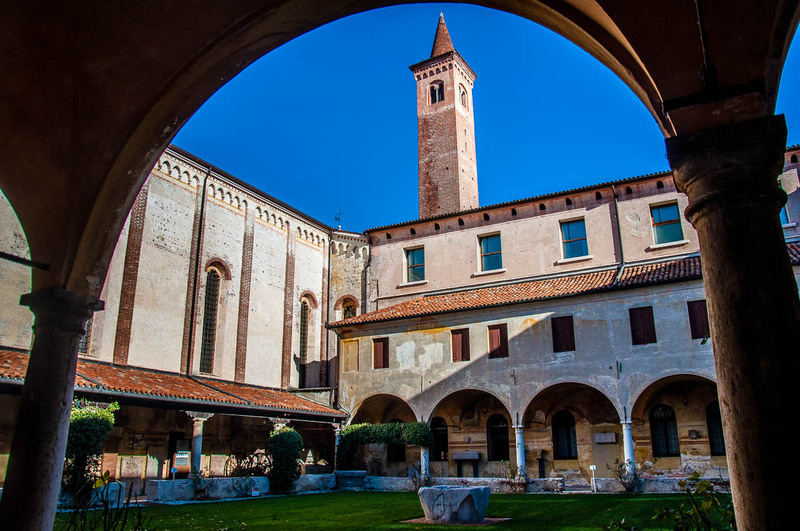 Once you have ticked off your list everything else that the Northern Italian region of the Veneto has to offer, head over to Rovigo to complete your exploration. There is a ruined castle, a nice central square, many churches and a huge cathedral. At lunchtime, the city gets deserted as everyone retreats behind closed doors for a long riposo. 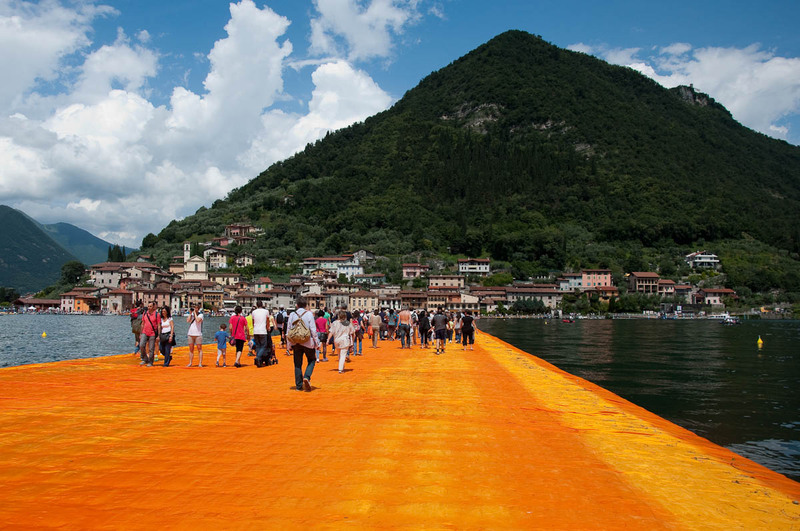 The size of an Italian town is not an indication of the amount of art and history you are going to find there. In fact, you may be surprised by the number of sights and the richness of the artifacts even the smallest towns in Italy hold. Here are my recommendations for great day trips from Vicenza to some of the most beautiful and most historically significant towns within an easy reach from the City of Palladio. 17. Belluno – approx. 111 km from Vicenza. Best reached by car. 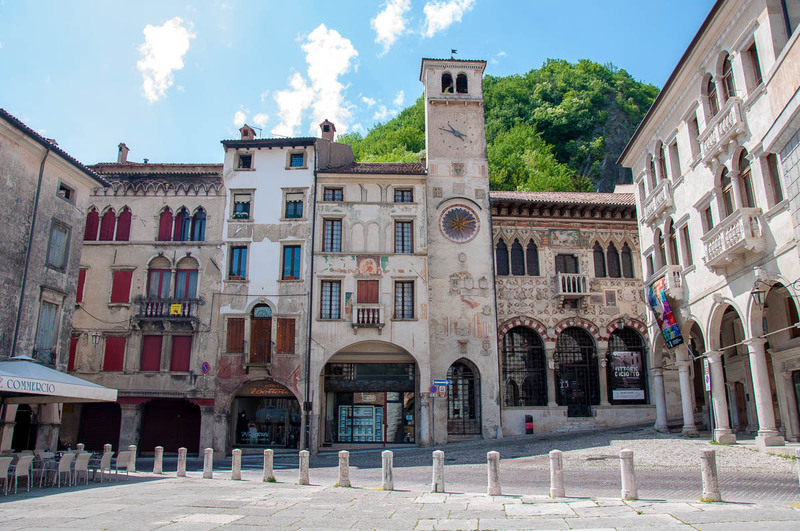 The most important city in the Eastern Dolomites, head to Belluno when you are in need of mountain views and experiences. 23. Recoaro Terme – approx. 43 km from Vicenza. Best reached by car. Recoaro Terme is another small town in the mountains of Veneto I can wholeheartedly recommend. The air is pure and you breathe it in in deep gulps. There are several mineral water springs and a spa where one can go to take the waters, each of which allegedly helps improve a different ailment. Many nature hikes are within the immediate vicinity of the town. You will find one of Italy’s most authentic faces reflected in its small medieval towns most of which are surrounded by mighty defensive walls. They still hold the memory of ferocious battles and ambitious lords who were skilled both in the art of diplomacy and the art of the sword. 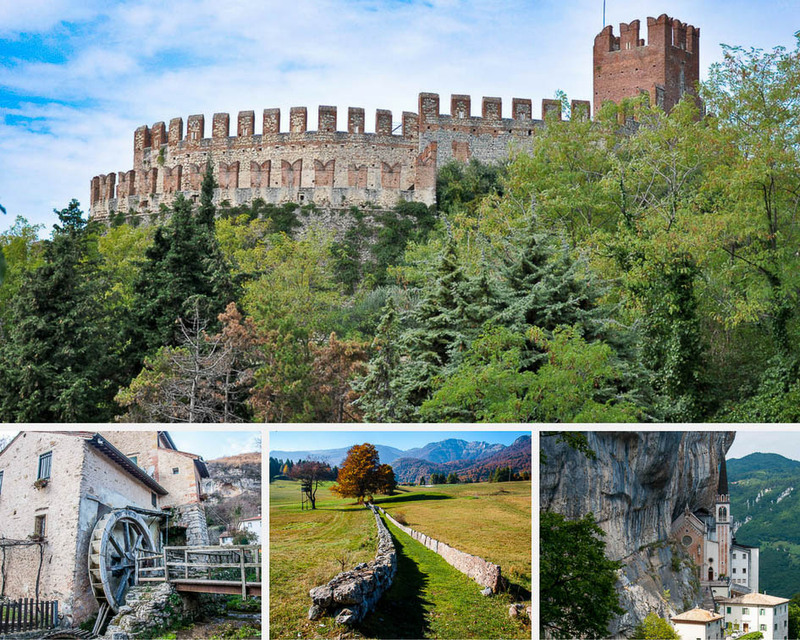 Luckily, within a very short distance from Vicenza, you will find many of the most beautiful Italian walled towns. I guarantee that you will be absolutely spoiled for choice. Do the logical thing and visit them all, one by one, savouring all that they have to offer – quirky museums, castles (some in ruins, some not), beautiful churches and more art than you can shake a stick at (not that I am telling you in any way to wave a stick at a piece of art, you understand!). You will be surprised at how much time you can end up spending in a teeny-tiny place without getting bored for a second and seeing an astonishing number of sights. 43. Serravalle (Vittorio Veneto) – approx. 128 km from Vicenza. Best reached by car. 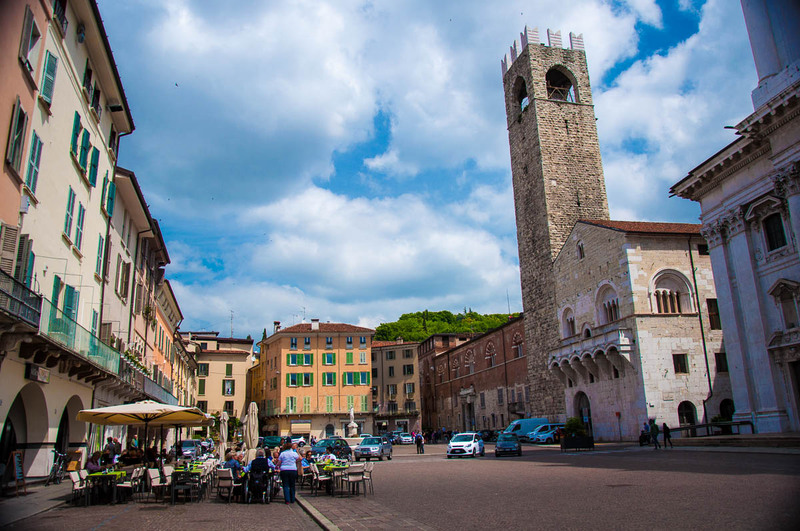 Serravalle is a medieval fairytale come true. 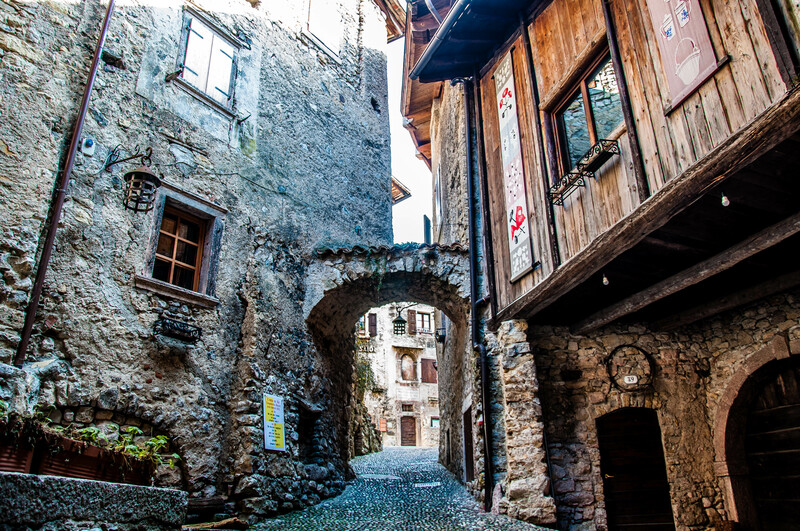 This is one of the most picturesque and most memorable medieval towns I have had the chance to visit in Italy. Don’t miss the local museum for its fabulous frescoes, paintings, and other works of art. Plus, the ticket includes a visit to a fully frescoed chapel where the babies born in the local hospital used to be baptised. 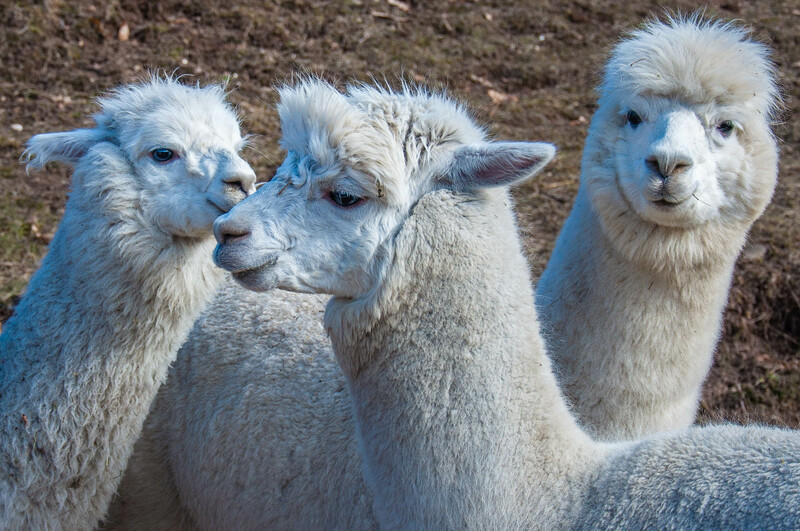 Here is a selection of the animal-centred attractions you can find within a short distance from Vicenza. To be perfectly honest, I am not a lover of zoos. Yet, the two I have included here are the ones I wouldn’t mind taking my own child to in case I need to show her a particular animal and try to explain to her the conservation efforts people make all over the world. 44. Gardaland Sea Life Aquarium, Castelnuovo del Garda – approx. 80 km from Vicenza. Best reached by car. A nice aquarium with lots of different displays of fish and different forms of sea life. I enjoyed seeing the jellyfish displays the most. On a rainy day, it can get really crowded. Click here to access the official website. 45. Jesolo Sea Life Aquarium – approx. 105 km from Vicenza. Best reached by car. This is another interesting aquarium within an easy reach from Vicenza. Click here to access the official website. 50. Parco Natura Viva, Bussolengo , Verona – approx. 76 km from Vicenza. Best reached by car. A large zoo with a Safari Park and a Centre for Endangered Species. Click here to access the official website. 52. Sarmede – approx. 134 km from Vicenza. Best reached by car. Sarmede is a small village in the province of Treviso where a famous kids’ theatre festival takes place every year. In addition, the houses in the village are frescoed by famous illustrators of kids’ books. Click here to access the official website. The sparkling waters of the Adriatic Sea are about an hour and a half or two away from Vicenza (depending on which beach and direction you will choose). If topping your tan is your thing or if you have kids to entertain, head to one of these beaches for maximum amounts of summer fun. 53. Bibione – approx. 165 km from Vicenza. Best reached by car. This is one of the largest beaches in Italy. It is 8 km long and up to 400 m wide. There are eight service zones and facilities for 15 sports. 54. Cavalino-Treporti – approx. 120 km from Vicenza. Best reached by car. This beach stretches for 15 km and it is covered with a fine white sand. There is also a nearby nature reserve. 55. Lido di Jesolo – approx. 102 km from Vicenza. Best reached by car. 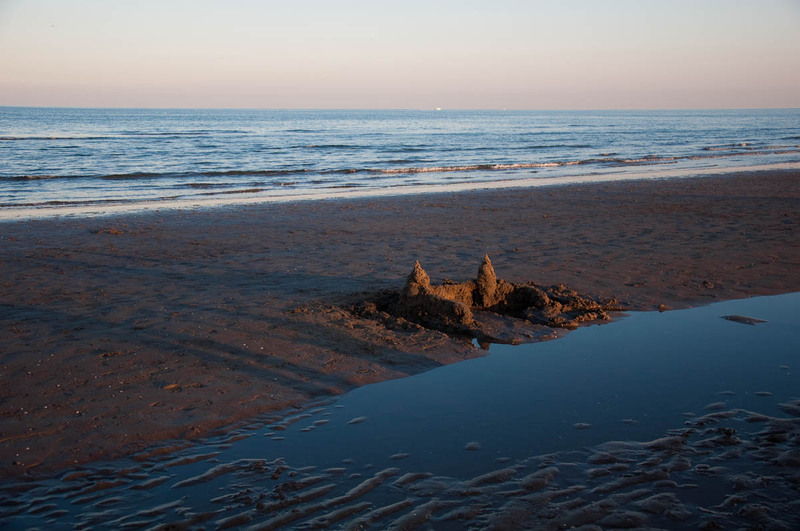 Jesolo is a lively seaside resort with a 15 km beach called Lido di Jesolo. Even though Vicenza itself is set on a rather flat ground, within an easy reach from it you will find several exciting hills and mountains. If hikes and comuning with nature are your thing, you will really be spoiled for choice. Pack a sandwich, a bottle of water, some sunscreen, and your Nordic walking poles and head out to explore. Video of the Museum of Village Life in the Berici Hills. Click here to access the official website of the museum. 62. Lessinia – approx. 93 km from Vicenza. Best reached by car. Lessinia is a lovely nature park with dozens of hiking trails and many waterfalls. 10 000 hectares in size, here you will find interesting natural formations, villages with stone-slate roofs, and a rich diversity of trees and plants. N.B. 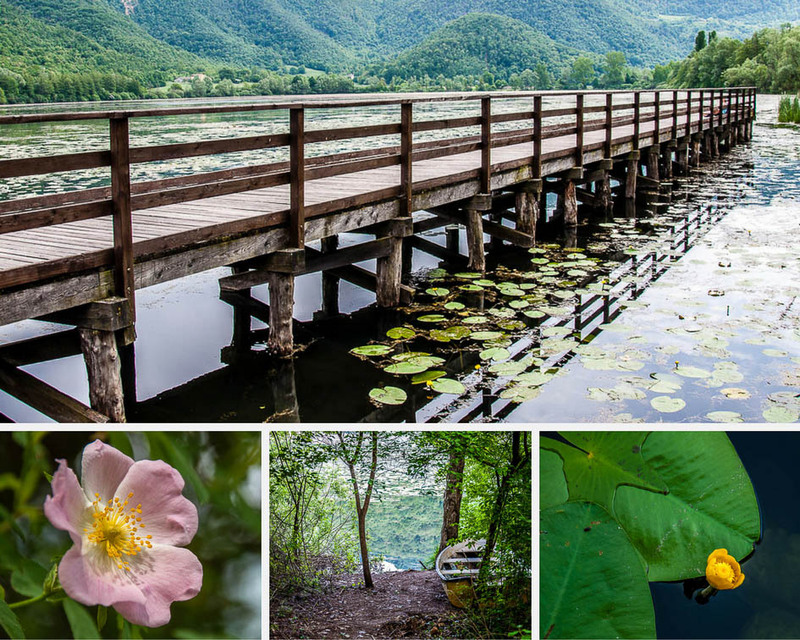 : If you like hikes and walks, make sure that you check the full list of 20 family-friendly walks and hikes up to an hour and a half from Vicenza (first part and second part) for even more ideas for great day outs from the City of Palladio. Within an easy reach from Vicenza, there is yet another amazing category of sights you can explore. Islands! These small pieces of land surrounded by water on all sides have always held a certain allure for the people born on a continent. Luckily, close to Vicenza, you will find some of the most famous islands all over the world. Make sure that you see at least one of these. 65. Burano – from 2 h one way from Vicenza. Best reached by train to Venice and then vaporetto. Burano is a magical island in the Venetian lagoon. Famous for its handmade lace and colourful houses it has to be seen at least once in a lifetime. Combine it with a visit to Torcello (see point 68 below), Murano (see point 67 below) or Venice (see point 11 above). 67. Murano – from 1 h 30 mins one way from Vicenza. Best reached by train to Venice and then vaporetto. Murano is the island in the Venetian lagoon famous for the production of the so-called Murano glass. With centuries-old traditions behind its back, the glass from Murano is unparallel in terms of colours, artistic techniques, and required skills. The island itself is a pleasure to explore. Much more peaceful than Venice, there you can see master glassmakers at work and admire their stunning creations. I can easily spend a whole day there, but if you are a quick sightseer, then combine it with a visit to Burano (see point 65 above) or Venice (see point 11 above). 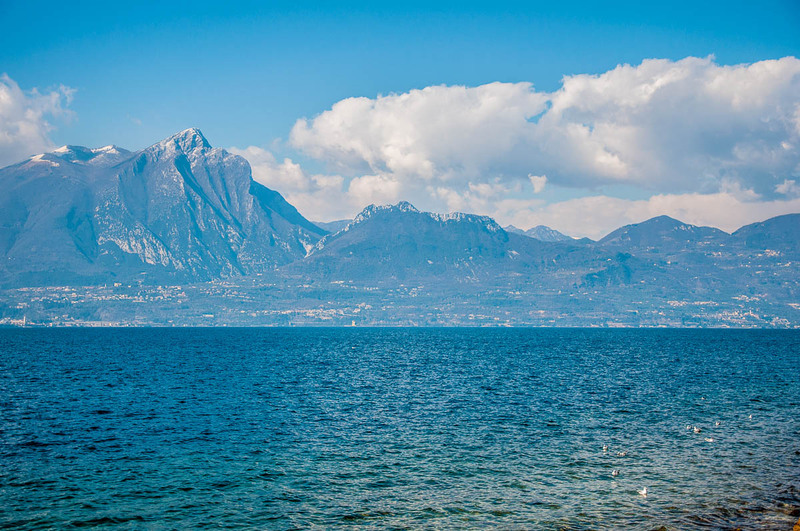 The land of Northern Italy is rich in water. You are bound to come across many lakes, rivers, and streams. Make sure that you tick off as many as you can. Apart from being stunningly beautiful, these water bodies also provide a much-needed freshness during the very hot summer months. In fact, if you make the effort to explore a river or walk along a lake, you are bound to see droves of Italians in their skimpy bathing suits cooling themselves off in the cold waters. Do the right thing and join them yourself. When the temperature nears 40 degrees Celsius, there is no better place to be. In any other season, the Italian rivers and lakes mentioned below are a great day out from beautiful Vicenza. 69. Delta of the River Po – approx. 116 km from Vicenza. Best reached by car. Po is the largest Italian river flowing into the Adriatic Sea. Its delta is a regional park – a spot of extraordinary natural beauty where you can even glimpse the magical flamingoes in addition to more than 400 other species of birds. Spending a day surrounded by flowers in bloom and lush green landscapes is a great way to relax. 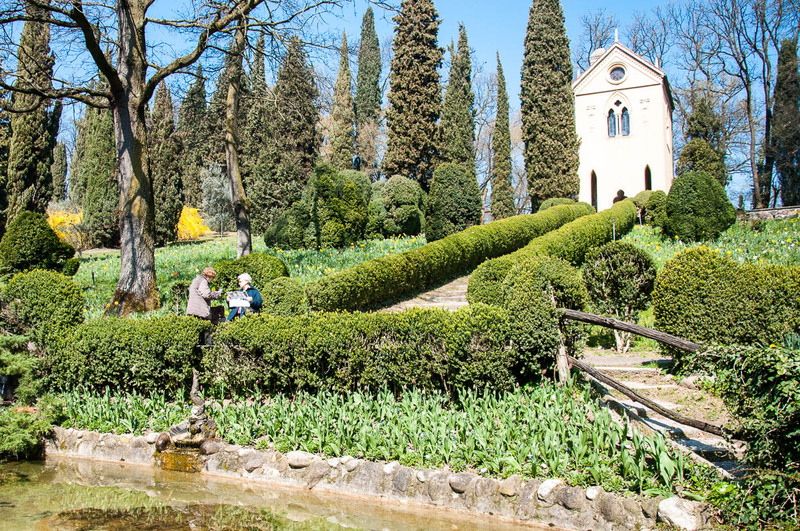 Luckily, within an hour from Vicenza, you will find one of the most beautiful parks in Italy – Parco Giardino Sigurta. If you would rather add a little bit of adrenaline to your day, head over to an adventure park instead. 76. Gardaland + Movieland – approx. 78 km from Vicenza. Best reached by car or train and shuttle bus. Two large amusement parks able to make both adults and kids have lots of fun. Combine them with a visit to the nearby Gardaland Sea Life Aquarium (see poin44 t above). 79. Parco degli Alberi Parlanti – approx. 100 km from Vicenza. Best reached by car. An educational children’s park with several trails. Just outside Treviso (see point 27 above). 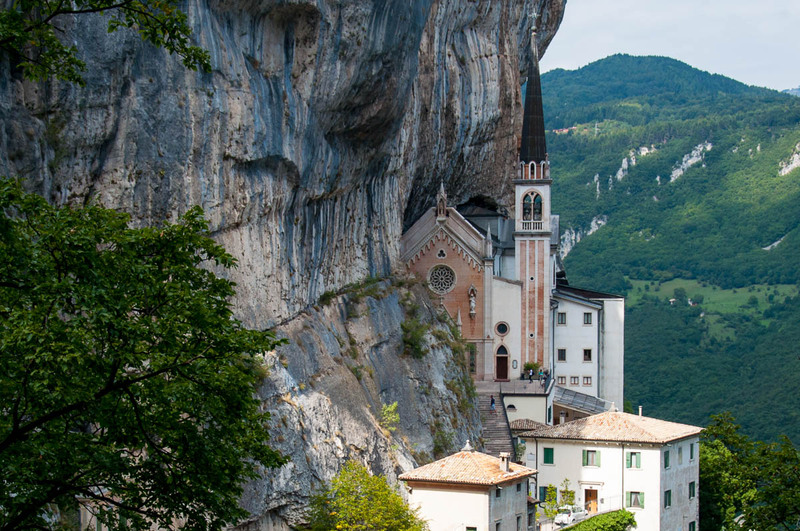 Italy is dotted with churches, monasteries, chapels, and sites keeping the Catholic faith of the locals strong. Coming to Italy and not visiting at least one of these sacred places is like missing on the biggest opportunity to experience the authentic face of the country and its nation. The only issue with all this amazing sightseeing is that it is bound to leave you very, very tired. Still, you are in luck! As within a day-trip distance from Vicenza there are several fabulous thermal baths where you can spend a whole day getting your strength back. Thermal waters and spa therapy have been used in Italy for thousands of years and the areas adjacent to Vicenza are especially rich in thermal traditions. Take your pick from this alphabetical list! 82. Abano Terme – approx. 45 km from Vicenza. Best reached by train or car. Abano Terme is a town completely dedicated to the culture of spa. Hundreds of hotels and spa facilities offer all sorts of treatments and access to thermal swimming pools. You will be spoilt for choice. 83. Aquardens, Verona – approx. 73 km from Vicenza. Best reached by car. Aquardens is the largest Italian thermal park. With weekly events and child-friendly facilities, you can even watch a film on a big screen while dipping in and out of the many pools. 84. Levico Terme – approx. 91 km from Vicenza. Best reached by car. Perched on the shores of the lake Levico, the town of Levico Terme is surrounded by mountains and is famous for its thermal springs. The composition of their waters is considered to be unique in Italy and very rare in Europe. In winter the town also hosts a large Christmas market. 85. Montegrotto Terme – approx. 47 km from Vicenza. Best reached by car or train. Right next door to Abano Terme, Montegrotto Terme is another town in the Veneto completely dedicated to the curative properties of the local thermal springs. Again, dozens of hotels and modern spa facilities will tempt you to spend a whole day simply relaxing and rejuvenating yourself. You can combine some spa with a visit to the nearby Butterfly House and Fairy Forest (see point 47 above). 86. Terme di Giunone – approx. 40 km from Vicenza. Best reached by car. An aquapark with several pools two of which date back to Roman times. 87. Villa dei Cedri, Lazise – approx. 80 km from Vicenza. Best reached by car. A large thermal park next door to Lake Garda and Verona. There are two lakes, swimming pools, wellness centre, winter pavilion and many more facilities. 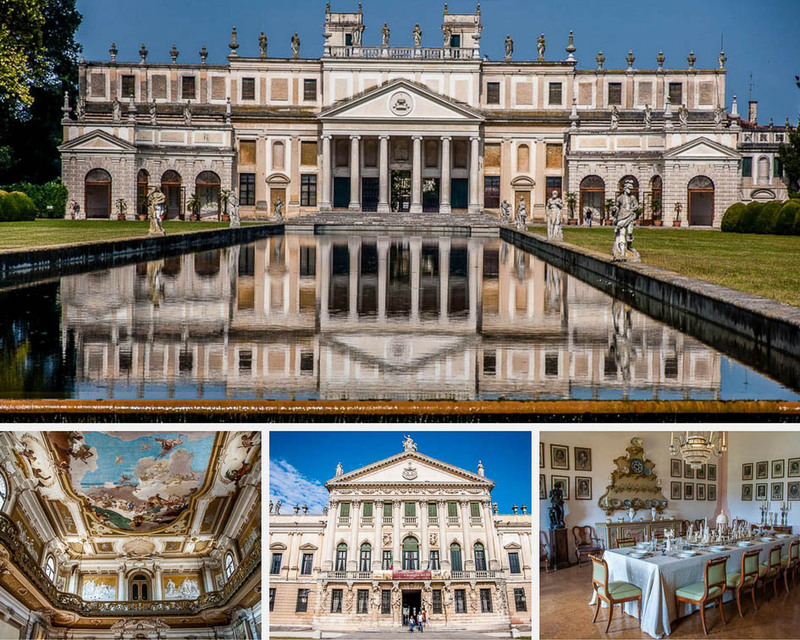 The Northern Italian region of Veneto is famous for its villas – large country homes built to show off family fortunes and aristocratic good taste. 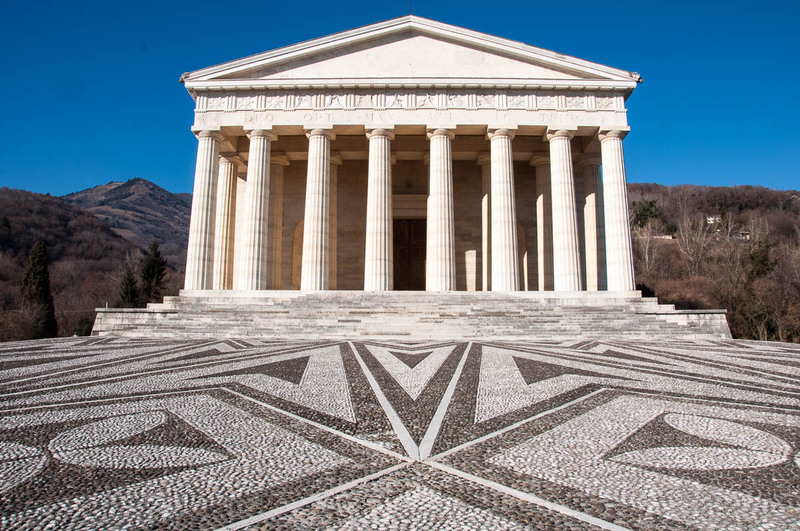 Designed by the best architects that have ever lived (Palladio, anyone?!) and covered with frescoes by the likes of the two Tiepolos, when visiting them you will feel in heaven if you like history and art. Right next door to Vicenza there are several of the most beautiful and famous Venetian villas for you to explore. Often, they also have a large park attached to them, so that you can spend a nice day or half a day immersed in both nature and art. 88. Villa Caldogno – approx. 10 km from Vicenza. Best reached by car or bus 9. This is a stunning Palladian villa. Fully frescoed inside, you will want to take phtots of each scene depicting aristocratic life. Next door to the villa, hidden in its green park, you will find a war bunker which can be visited, too. A great place to explore on one of those days when you don’t feel like driving too far out of Vicenza or don’t have a car at your disposal. Click here to access the official website (in Italian). 90. Villa Foscari La Malcontenta, Mira – approx. 65 km from Vicenza. Best reached by car or train. Another stunning Palladian villa with breathtaking frescoes. Click here to access the official website. These are my over 90 personally tried-and-tested suggestions for great day trips from Vicenza, Italy! I hope that I have inspired you to get in the car or buy a train ticket and explore the beautiful surroundings of the City of Palladio and to branch even further afield all the way across the Veneto to the adjacent regions of Lombardy, Emilia-Romagna and Trentino-Alto Adige. Have fun and let me know which of the above excursions from Vicenza you loved the most. If I have missed a destination that is close to your heart, please, let me know as I am always on the lookout for new places to explore in and around Vicenza. I love this! The only thing missing is a Google places map so I can pull these up and see how far each is from Ferrara (where we live). Seriously though — I appreciate all of the work you’ve put into this. Grazie mille! I need to look into using Google Maps in blog posts. Thank you for the suggestion!